Peoples, you better believe that there’s a ton to do here in CT and we’re doing our best to get you a crazy good list of events, deals, specials, restaurant news, and CT Beer schtuff. As always, feel free to check out our CT Food News post from last week for even more things going on. 8/14 Harlan Social in Stamford is celebrating 3 years in business and will have $3 tap beers from 4-7. 8/14-15 8/16 Come by Miranda Vineyard in Goshen for a Wine and Chocolate Tasting starting at 12 pm. If this is your kinda thing, then check them out on FB because they have plenty of more tastings and events going on, too. Come down to Le Rouge in Westport to learn how to paint some beautiful chocolate eggs! Picture from owner, Aarti. Lots of us have the week off or some much needed downtime over the next few days, so let’s make the most of it, right? And, we’ll definitely help to do our part by giving you some great things to do, check out, and be a part of. Also, please check out this list of places in Fairfield County that will be hosting special Easter brunches and dinners. 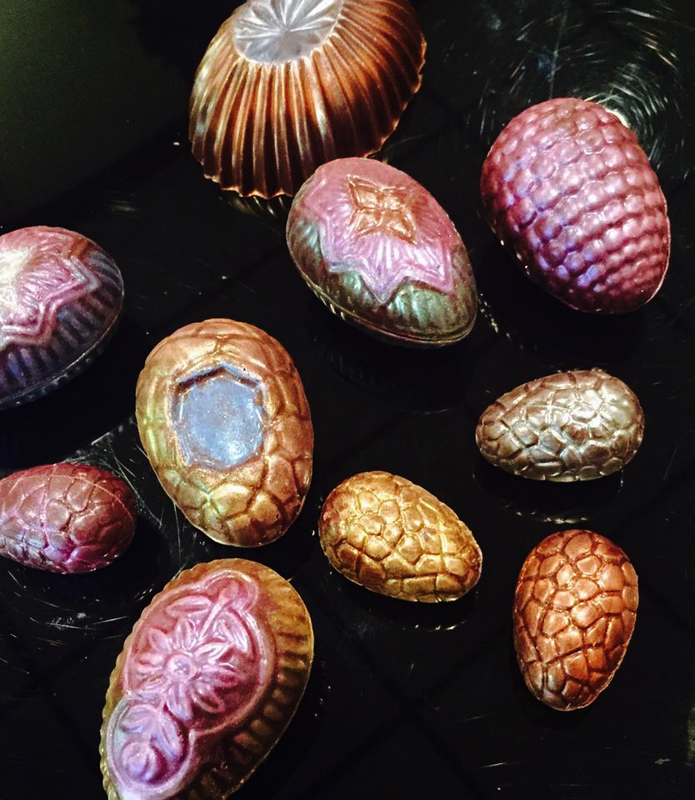 4/3 LeRouge in Westport will be hosting a special chocolate egg decorating day! You’ll get to paint 6 mini eggs each and 1 medium egg. Times are 10-11, 5-6, or 6:30-7:30 and the cost is either $25 per person or $80 for a family of 4. Call up Aarti at (203) 293-6106 to set your spot! Here we are with the first full week of spring, so you better get yourself in gear, get out there and conquer the world. We’ve got a ton of dinners, events, deals, contests, national recognition props, and beer news to getcha going. p.s. Don’t look at Saturday’s forecast. 3/26-4/5 Neighbor to Neighbor is hosting a PB&J Food Drive, arguably one of the coolest things ever. Brings jars of peanut butter to Diamond Hill U.M. Church in Cos Cob and bring jars of jams and jellies to Little Pub Greenwich. 3/27 Harry’s in Fairfield is hosting a Left Hand Brewing beer tasting from 4-7. They’ll be sampling their Milk Stout, Black Jack Porter, and Milk Stout Nitro. Yes, they have arepas! Dear God, they have arepas! 3/20 Mama’s Boy in Norwalk will be hosting their 3rd Annual Customer Appreciation Party, starting at 9. You’ll get a free glass of champagne when you arrive, two for one Dirty South Cocktails, $6 okratinis, 1/2 off glasses of wine, $2 Fireball shots, $20 bourbon bowls, and live music. 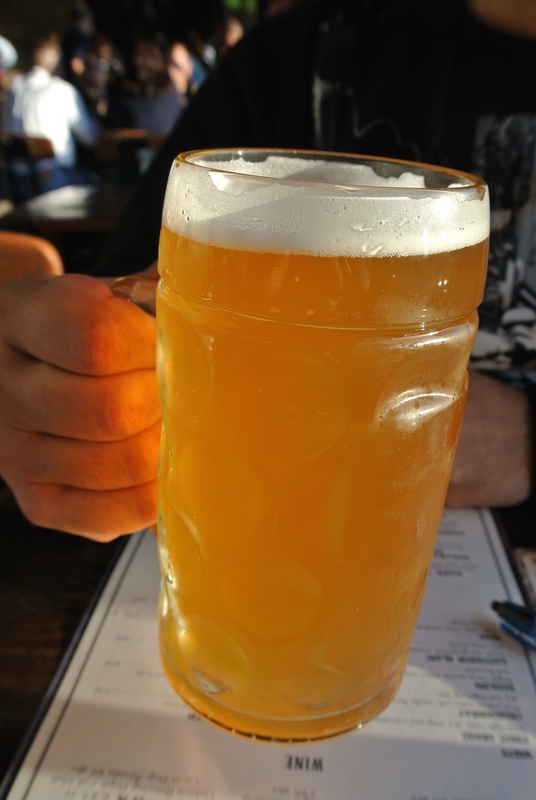 There’s a boatload of events, deals, special dinners, and other killer things going on in Fairfield County and across the state beer-wise, so check it all out. Also, don’t forget that today is Fairfield County Giving Day: give where you live! 3/5-3/16 There’s still plenty of more time to check out the prix fixe deals and specials at local Stamford businesses with Stamford Downtown Restaurant Weeks. 3/7 Check out the St. Patrick’s Day Parade in Stamford, starting at noon. The parade begins on Main and Sumer, then goes fast to Atlantic, then follows Broad Street onto Bedford, stopping at Walton Place. Be aware that roads will start to close at 11:30 or earlier, so if you want part of the fun, head on down early. For ideas, check out this. If you’re looking for New Year’s Eve 2015 listings, check them out here. Okay 2014, you’ve met your match. That’s right, make way, ‘cuz 2015 is right around the corner. And with the New Year comes great respon . . . er . . . parties! Yup, lots of great parties, lots of great drinks, and a helluva lot of great food. So, we thought we’d help do our part to make sure that you are off to a great start with a comprehensive guide to New Year’s Eve in Fairfield County. We’re covering as much as FC as possible with lots of choices for ya! We plan to update, so if you know of any good additions to this list, please let us know. Sometimes there might be one or two events to write about that are going down on the same weekend, but then again there are times when there’s a crazy amount of awesomeness happening all at the same time. Well, it just so happens to be one of those weekends coming up! So, as promised, here’s a schmatering (how did we even know how to spell that?) of things going on in Fairfield County! 1) Little Barn in Westport is having their 1 Year Anniversary Party! They’ll have live music from the kickass Alpaca Gnomes starting at 9:30 with free hors d’oeuvre and drink specials alllll nightttt lonnngggggg. 🍴 There is already a site and a built-in GRW mobile app that you can use on the go to get reservations, menus, call up restaurants, place an order, and check out what’s going on daily. Garden Catering Fairfield Celebrates w/ Deals, Donations, and Your Shot at Specials for a Year. Yes, a Year. Garden Catering fiends (we’ll call you Specialites henceforth), we’ve got some great news to share. Garden Catering Fairfield has been around for 5 years now and they’ve got some great deals this week as well as some other things going on like a special donation day and your shot at getting Specials for a Year! 10/27: “Old School” Special prices with $6 Specials allllllll day!